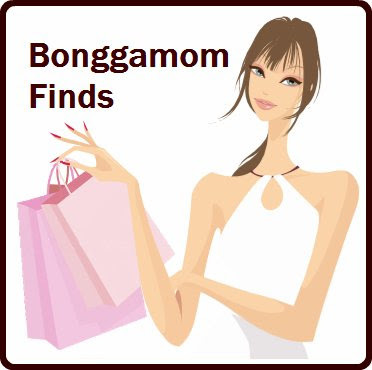 Finding BonggaMom: What's for lunch this week? This week I'm going to be out of town for 2 days, so I can't make lunch for the kids on those days. OR CAN I? At first I thought of buying Oscar Mayer's Lunchables packs for them in advance and storing them in the fridge for Thursday and Friday, but then I realized, I can make my own lunchables! It's so easy to cut ham and cheese into squares and pack them with Ritz crackers. They'll keep in the fridge just as well as the store-bought Lunchables -- and my lunchables come with blueberries and tomatoes! With that in mind, this week I'm featuring lunches that can be made ahead of time. I normally make each lunch fresh each morning because I don't want any sandwiches to get soggy (or worse, dry out). 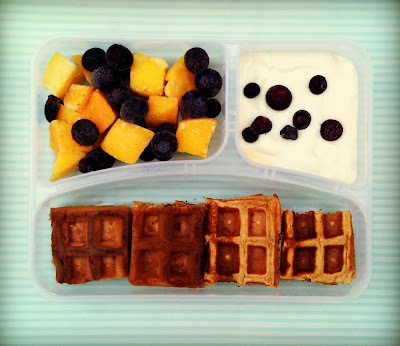 But the lunches below can be stored in the fridge overnight, or even a couple of nights ahead. Just wrap the sandwiches in cling wrap and freeze them; the rest of the ingredients can stay in the bento box container in the fridge. 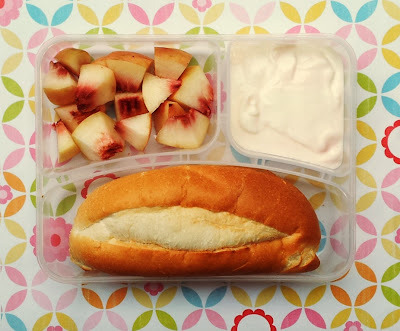 When it's time to pack lunch, add the frozen sandwich to the bento box and it should thaw by lunchtime. Business trip or pleasure junket?